Halo 5 came out today. When you’re single, you don’t even know that more than one Halo exists. 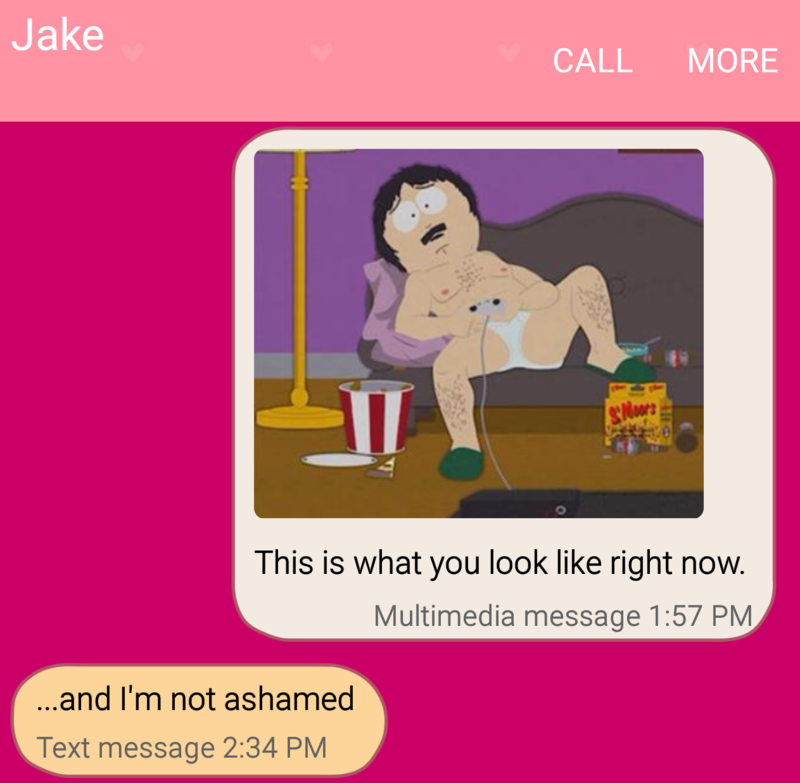 I texted Jake the news, as well. He texted back once and called twice. I couldn’t bring myself to answer. I didn’t want to interrupt his video game fun with attempts to console his girlfriend in a dramatic mood, so I let it go to voice mail as I randomly wailed into my frozen pizza. Sigh. Here’s hoping that I’ll read this in a year and smile, because it all turned out okay, just as I’ve been doing with last year’s terrible date stories. This entry was posted in Conversations, Friendship, librarian, Relationships, Text Messages, Textersation Tuesdays, Work and tagged friendship, librarian, love, relationships, texting, twenties, work by Belle of the Library. Bookmark the permalink.